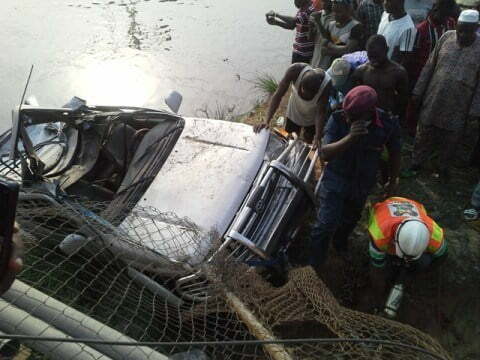 A middle-aged woman has been confirmed dead while her daughter has been left severely injured as her private Jeep plunged into the river on Ijebu-Ode/Benin Expressway. Oetv News reports that the unidentified woman and her daughter were travelling on the road in her Lexus Jeep with registration number JJJ 930 FL, when her car skidded off the road and plunged into the River. Akinbiyi said that the accident occurred around 2:45 p.m, Saturday and that the accident was caused by speeding.